The FREE course package requires you to pay for the registration (SSI) or registration and materials (PADI). Turtle Bay Dive Resort was built by a family of avid divers who want other divers to experience the great diving in the warm waters of Moalboal and to relax in their little corner of tropical paradise that they have enjoyed over the years. The modern villas are set amongst tropical gardens and overlook a private cove with crystal clear waters lapping over the boat jetty. The resort has 23 rooms that are furnished either in traditional English hand carved furniture or in Filipino furniture. Every room has a ceiling fan and air-conditioning; ensuite bathroom with hot water shower; and private balcony with room to relax and enjoy the ocean breeze. 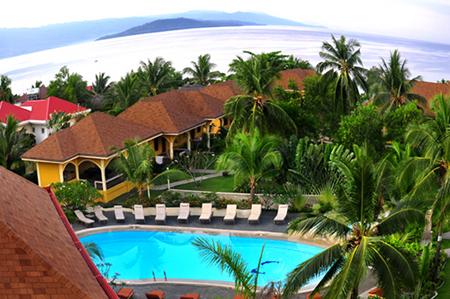 The resort operates a fully equipped, modern PADI regsitered Dive Center. Daily dives are scheduled - a 2-tank dive at 8:30am, a 1-tank dive at 2:30pm and, on request, Manadarin fish dive at 5:00pm and a 1-tank night dive at 6:30pm. 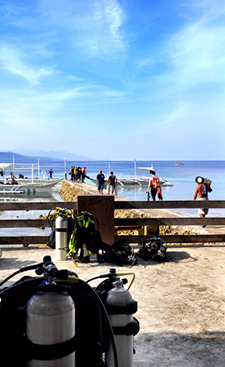 Almost daily dives at the famous Pescador Island. 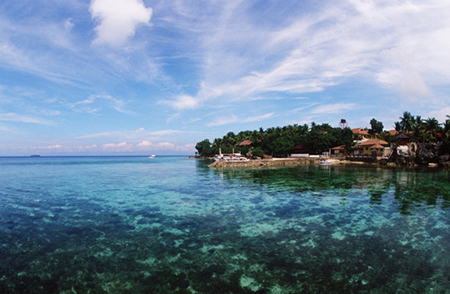 You can enjoy all year round diving in Moalboal. There are at least 18 recognized dive sites around Moalboal and more are being discovered. The range of these sites is extremely wide: sandy slopes, vertical walls that drop to 50 meters, canyons and a sunken island. Enter the world of Marco Vincent Dive Resort. This Mediterranean inspired property boasts 38 tastefully furnished rooms that are the most spacious in the Puerto Galera Area. 3 restaurants, 2 onsite and 1 beach front, function rooms, an indoor pool and Jacuzzi complete this one of a kind vacation destination. 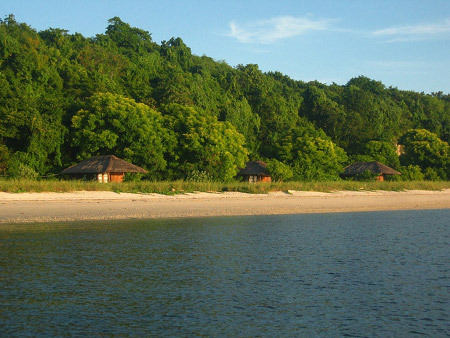 And this resort is located on the best white sand beach in the Puerto Galera area. El Patio Restaurant - The poolside restaurant is the perfect place to start your day! Enjoy a Filipino breakfast of fried garlic rice, eggs however you want them, accompanied by local delicacies of tocino ( Filipino ham), Longganisa (native sausages) or daing ( marinated fish) . We also serve well loved, traditional, American breakfasts of fluffy pancakes, French toast, omelettes with hashers of sausages, bacon or ham. Feeling oriental today? Then it's Congee with sidings of pickled vegetables, century egg, minced meat and sautéed vegetables. Something light? A basket of fresh baked bread, local mango, guava or coconut jam with a pot of brewed coffee it is! 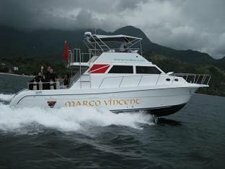 MV Dive Center - Marco Vincent Dive Resort is committed to provide quality dive education. Training safe, environmentally conscious divers is the center’s top priority. To ensure this, our dedicated dive pool is designed to meet the requirements of beginner courses. The depth of the pool is divided into two, 5ft and 10ft. 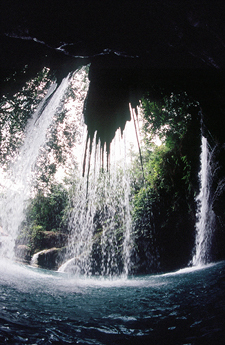 The dive pool is the ideal contained, relaxed, environment to introduce beginners to new techniques and equipment that will enable them to conduct themselves safely in and out of the underwater realm. 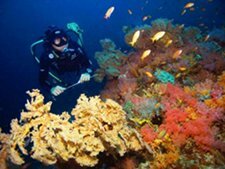 We are offering two great packages for your diving pleasure and adventure!